When he was a child, Stephen Paiz’s father took him to Texas. He grew up there, away from most of his family and any Montana roots. When he had a son, Michael, Paiz would frequently tell him they were Native American and from Montana. He couldn’t specify which tribe. He thought maybe Blackfeet. Michael Paiz also grew up in San Antonio. But for him, it was different. He felt a disconnect. He was the second generation to grow up in southern Texas. But, he said, he felt a severed link. “I always felt like I was not supposed to go down this road,” Paiz said. Paiz fell into trouble at home, eventually winding up on the streets of San Antonio. He saw his friends die and wished for something more. In 2007, Paiz signed up for Ancestory.com with the urge to learn more about who he was. The website was still new then. Nothing tangible about his father came back. For six more years he researched, sifting through archives and websites. He looked for any clues about his father or the tribe to which he belonged. Still, nothing. The thought of never truly knowing where he came from was becoming more of a reality. Then it happened. In 2013, he called a Montana-based genealogy center and the pieces began to fall in place. Not long after, it was confirmed. His grandmother’s name: Margaret Laframboise. She grew up near Great Falls. She was a member of the Little Shell band of Chippewa, which called that area home, although it has a complicated history in Montana. The discovery was a relief in some ways and a confirmation in others. In 2016, Paiz made the 25-hour drive, 2,000 miles in all, to Little Shell’s Montana home on Hill 57 on the outskirts of Great Falls. It’s where the Little Shell people settled after being forced to migrate in the late 19th century. The first time he stepped foot on the historic land, thunder boomed overhead, a welcoming sound to Paiz. “It’s like I haven’t seen a friend in 35 years,” he said. Paiz met tribal members and family, including his cousin, Angela Williams. He also learned a lot about the tribe’s history. Although his family history is complicated, Paiz’s family was not alone in leaving the lands the tribe called home. Over the decades, Little Shell families have migrated throughout Montana and the U.S. With no federal recognition, the tribe has no reservation to tie the people together and share language, culture and history. Tribal bonds began to fray, people left, languages were forgotten. While most tribes in the United States seek distance from the government to preserve their way of life, Little Shell has been prodding government officials for decades to do just the opposite. Federal laws have several requirements for tribalhood, among them is a defined, distinct community. But, currently only about eight Chippewa families reside near the Hill 57 area. However, even with no land base, tribal members continue to develop tribal culture through regaining and teaching language and instilling tribal identity in young tribal members. Meanwhile tribal officials continue to master the art of old fashioned diplomacy with the federal government. 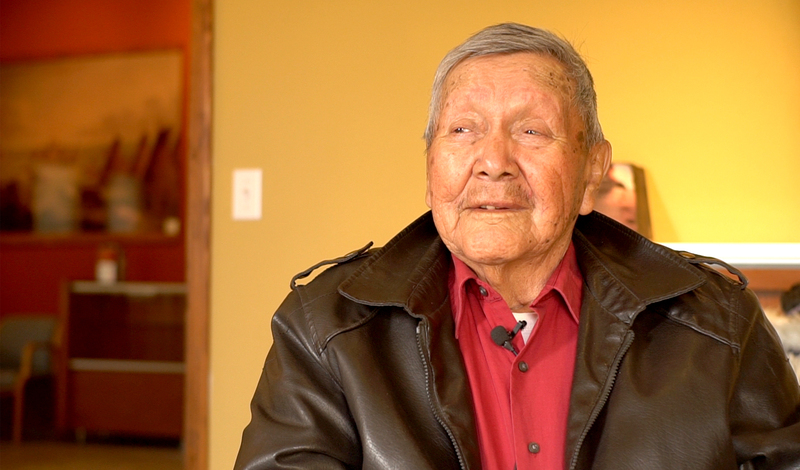 Duncan Standing Rock is one of the last fluent speakers of the Ojibwe, or Chippewa, language, which he practices by speaking to himself in the mirror. Duncan Standing Rock is fluent in the tribe’s dialect of Ojibwe, or Chippewa, the largest of the three main Little Shell languages. Since there is no one else to converse with, he practices in the mirror. At the foot of Hill 57, just down Stuckey Road, sits the Little Shell Cultural Center. The wood exterior is painted blue and the white framing adds to the look of a barn, though inside it resembles a museum. It’s where members of the tribe from all over the state meet four times a year to determine the direction of the tribe and practice songs and dances to remember who they are. It’s impossible to tell exactly how many people still speak the Little Shell dialect. Standing Rock reluctantly acknowledges he is likely one of the last. “Yeah, I guess you might say that,” he said. Then he asked for a chair. He started from the beginning. “I’m Ojibwe. That’s what I am,” he said. His words were not slow, but they were meticulous, deliberate. His stories unraveled steadily as though timed to a metronome. First, the one about the eagle. An entire history of the tribe; from the moment the Pembina Band of Chippewa Indians had visions of visitors with blond hair and blues eyes, circa 1605, to the time Chief Little Shell walked out on a land deal with the U.S. government almost 300 years later. 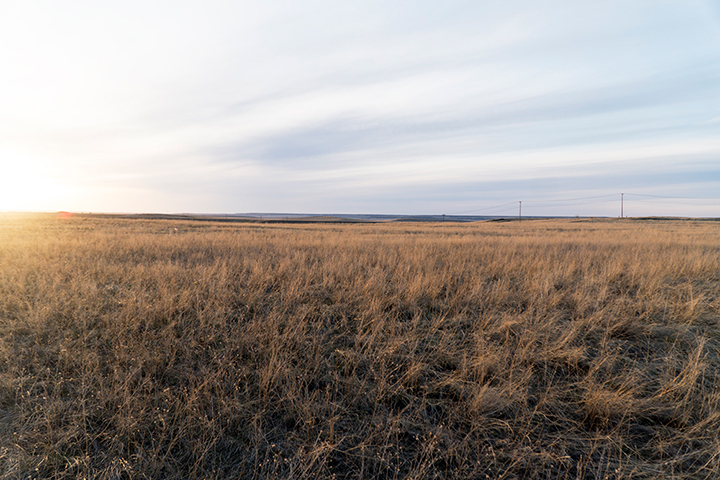 The Little Shell Tribe of Chippewa Indians of Montana is the state’s only tribe that is unrecognized by the federal government. But it’s not that cut and dry. The state of Montana officially recognized the tribe in the early 1990s, after which the tribe formed a council that has lobbied Montana’s congressional representatives to push for legislation that would finally grant the tribe federal recognition. Without it, the tribe is ineligible for a designated reservation and access to federal programs like the Indian Health Service or other programs to help strengthen interior tribal works. Various federal regulations state a tribe must have a strong community, political influence or authority between 1850 and 1900 and a governing document. The “Community” clause requires “consistent interactions and significant social relationships” between tribal members. In addition, a tribe must distinguish a “distinct community,” one that is easily recognized based on history, geography, culture and social organization. In short, a tribe must prove it socializes regularly, or can be centralized geographically, in order for the government to designate a reservation. The phrasing is ambiguous and to Gerald Gray Jr., chairman of the Little Shell tribal council, the interpretation of the clause has allowed disassociated government officials to write off the Little Shell again and again. “It’s really an absurd rule that I think, personally, it was the government’s way of diminishing the Indian,” Gray said. This clause is relatively new. The section containing the Community clause was established in 1994 and last revised in 2015. On Jan. 11, six Virginia tribes were granted federal recognition after facing struggles similar to the Little Shell. However, the tribes did have strong support in the state legislature from congressional delegates who helped push for federal recognition. Madison and Rylee Mitchell, 16, pride themselves in leading the next generation of the Little Shell people. They currently work in the Little Shell tribal office in Great Falls. Madison and Rylee Mitchell are twins, though you can’t tell by looking at them. Rylee is shorter and Madison has braces. 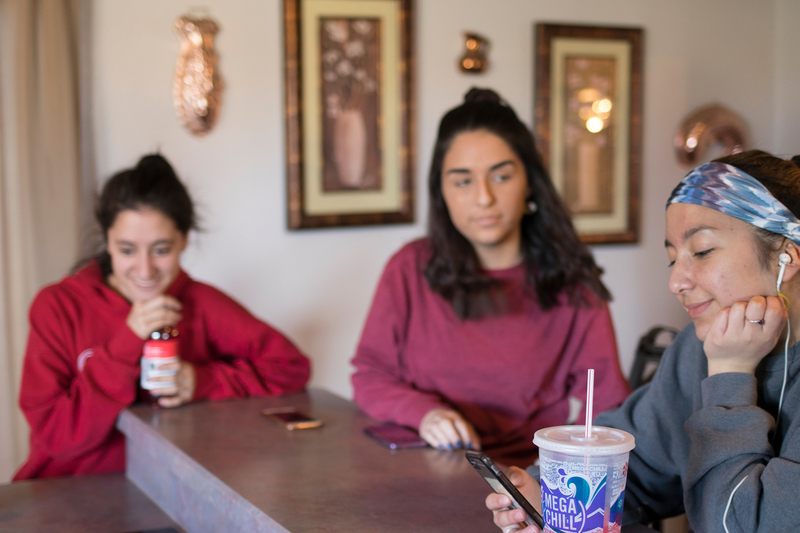 They both love Crocs — they have four pairs between them — and they both head the student government at Charles M. Russell High School in Great Falls. Madison is the president, Rylee her vice president. March 23 was the end of the quarter, a half-day of school. The 15-year-old twins got a long lunch with some friends, but instead of staying out to take advantage of a sunny Friday afternoon, the two decided to work. About once a week the sisters file paperwork at the Little Shell tribal office, property that the tribe owns on Central Avenue in Great Falls. It doesn’t pay much, about $10 an hour, but it’s not the money that brings them there. It’s about keeping the office churning during the many days when it’s empty. Only one full-time employee works at the office, receptionist Terri Salois. Madison and Rylee have another job within the tribe. They’re student assistants for the Chippewa (Ojibwe) Language Study, a program launched in 2017. Though neither of them are strong speakers, their jobs are more about inspiring their peers and driving out apathy among Little Shell youth. Many believe language is where the tribe’s fight for federal recognition began. Michif, another Little Shell language, was categorized as a pidgin language, or slang-like language by many 20th century sociolinguists. The classification led many politicians to doubt the validity of the Little Shell as a legitimate indigenous tribe. In 1972, John Crawford, the late linguist from North Dakota, refuted those claims. In a report on the Ojibwe language, Crawford argued the language was more complex than several linguists originally thought and adds authenticity to the tribe’s identity. But by then it was too late. “Reinforcing the traditional, historical language today simultaneously becomes an intellectual and spiritual core around which to gather identity,” Nicholas Vrooman, an expert in the Little Shell tribe’s history, said. And many experts agree. About a year ago, Vrooman designed the Ojibwe Language Study program to preserve the language. Today it’s run by Colleen Hill with the help of people like Madison and Rylee to drum up support. Sociolinguist L.G. Kelly, in his 1977 book “Language Maintenance in Canada: Research Problems,” writes that language is a priority to determine the authenticity of an ethnic group. That’s where Little Shell is starting. 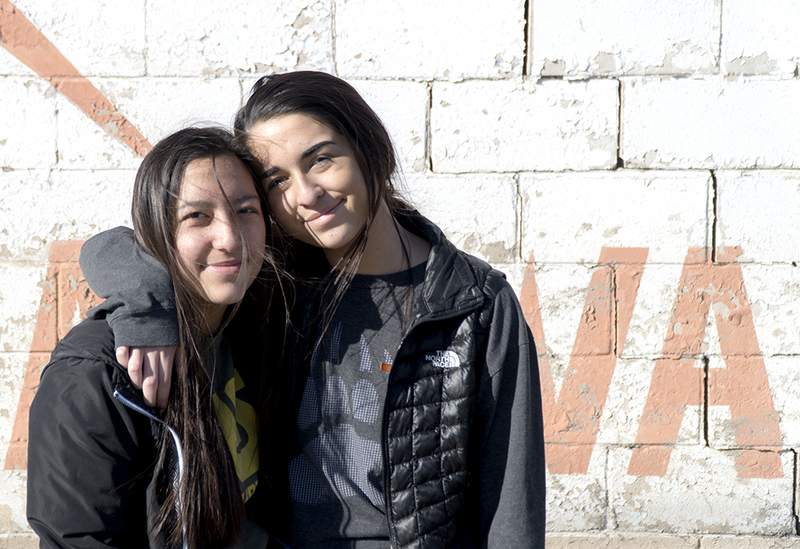 For Rylee and Madison, it’s not just about learning a second language. The two encourage their peers to join the program, though an extracurricular study program for a dying language is a tough sell. To them, it’s personal. They effect change in different ways. Rylee has published several articles in the Great Falls Tribune about a range of Native American issues. Madison aspires to one day be Montana’s first female Native American representative in congress or govenor. Their fire comes from their own experience seeing kids their age not knowing about their culture. In fact, many kids within their tribe don’t have a clear idea. Madison recalled a time in history class when her peers began pounding on the table, chanting and mimicking Native American dancing in front of her. That’s what brings these two girls here, in an office suite in downtown Great Falls on a Friday afternoon, in the first place. Dr. Nicholas Vrooman, an expert on the Little Shell’s history, finds the energy from these youths inspiring. “This generation is the one to do it,” he said. Hill 57 was home to the Little Shell tribe when the federal government purchased it for the tribe in the 1930s. Among the various tasks tribal chairman Gerald Gray Jr. deals with, inciting congressmen to push for the tribe’s recognition is the most important one. “I don’t think they’re working hard enough, honestly,” Gray said. They’ve been even more determined these days afer seeing the results of the six Virginia tribes who received federal recognition in January. Gray pointed to the work of Senator Tim Kaine (D-Virginia) as a leading force in the Virginia tribes’ recognition. Montana legislators haven’t been as active, he said. Sen. Jon Tester (D-Montana) has been one of the most involved of Montana’s three congressional delegates but is up for re-election this year, which makes Gray wary for the future. The final push for recognition seems to be a result of the tribe’s requests being buried by other legislative bills. So, the Little Shell get kicked further down the road. The good news: Things are looking up. Vrooman, from Helena, visited Great Falls on March 24 for the first quarterly meeting of 2018. He said the fire to keep the language going, though still dim, is burning brighter these days. And that’s the first step to regaining identity, community and tribal sovereignty altogether. The Mitchell girls gathered around their mother, Julie, as she made dinner. Paiz is unable to make many trips to Great Falls since that defining venture in 2013. He messages Gray on Facebook regularly and keeps up with the tribal workings on the tribe’s Facebook page. He registered himself and his father as official members of the Little Shell tribe shortly after his pilgrimage in 2016. Along the way he met Angela Williams of the Rocky Boy’s tribe. It turns out they are cousins. She helped him on his trip and felt connected to him, this stranger, somehow. The morning after Paiz left, she saw an eagle fly over her house. She had never seen one before. Paiz feels a similar sense of duty from his Little Shell ancestors.